In this section, Meta Reviews Sony A-Mount Cameras! Getting started in Digital Photography doesn’t have to cost a fortune. Amazon sells nearly new Sony Digital Cameras, like the 2012 Model Sony a65 Camera, at a fraction of the $1,200 original cost! If you’re a Beginner Digital Photographer, consider buying a used Sony Digital Camera from Amazon to begin Shooting Digital Photography Today! One huge advantage of the Sony A-Mount Cameras, is that you can purchase many inexpensive Vintage Minolta Lenses! Meta’s two favorite Vintage Minolta Lenses are her Super Sharp Minolta 50mm f/1.4 Prime Lens and her Wide Angle Minolta 24mm f/2.8 Prime Lens. 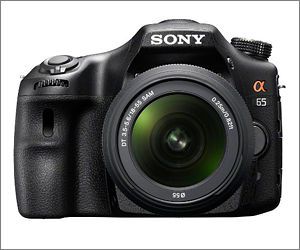 The Sony a65 Camera was Meta’s First Mirrorless Sony Digital Camera. This Sony Digital Camera can use Meta’s collection of Vintage Minolta Lenses. Released in 2012 it was way ahead of its time, offering 10 fps in a Mirrorless SLT for $1,200. Meta would love a Ful Frame Sony a99 II Camera with a Sony Zeiss 24–70mm Lens. This Mirrorless Sony Digital Camera can shoot at 12 fps with a huge 42.4MP Full Frame sensor for stunning and very sharp Macro Photography and Interior Photography. 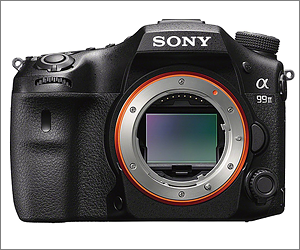 The new Sony a99 II Camera offers a faster processor and lower noise at higher ISO, which is a plus for Macro Photography, more focus points, higher LCD resolution screen and WiFi. Meta uses Sony a77 II Cameras for all of her Nature Photography. These Mirrorless Sony Digital Cameras can shoot at 12 fps with a 24.3MP APS-C sensor for stunning and very sharp Macro Photography. Meta uses these Sony Digital Cameras with her collection of Vintage Minolta Lenses. 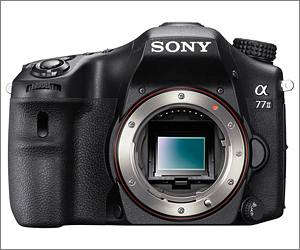 The new Sony a77 II Camera offers a faster processor and lower noise at higher ISO, then the older Sony a65 Camera, which is a plus for Macro Photography, more focus points, higher LCD resolution screen and WiFi. APS-C Lens Crop Factor: 1.5x.